Article contributed by Schaumburg High School student Amna Farshori, The Sextant. Photos by Schaumburg High School Business Education Teacher Joseph Carey. 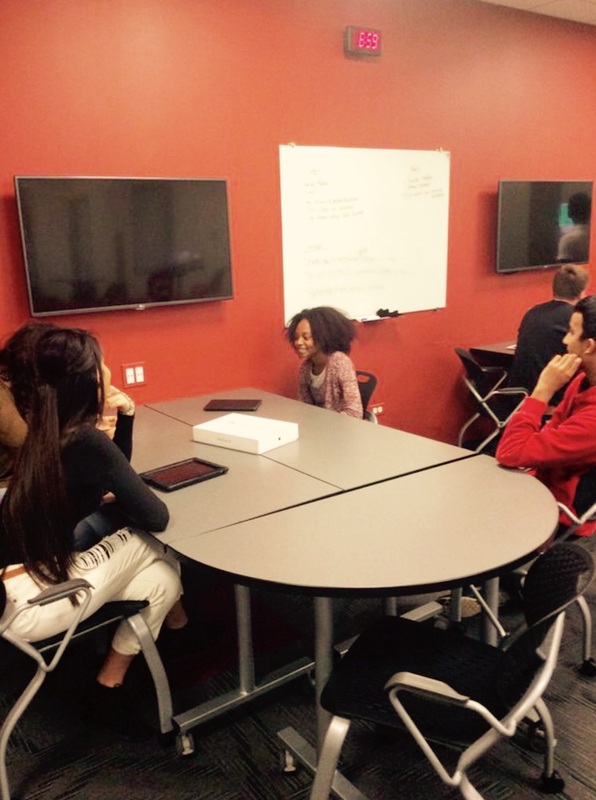 For the first time this year, Schaumburg high school has given students the unique opportunity of participating in a business incubator class. This class is laid out to give students a taste of true entrepreneurship and give them an idea of how to be successful in creating their own product or service. Throughout the full year course, students will learn about marketing, human resources, accounting, and the legal aspects of operating a business. At the end of the course, students are to pitch their product or service in front of real life investors and possibly earn funding to present their ideas beyond the classroom walls. Business teacher Joseph Carey, who has been teaching at Schaumburg high for 5 years, is thrilled and very passionate about sharing his knowledge on this subject. “I am extremely excited for the rare opportunity given to the students,” Carey exclaimed. Real world entrepreneurs and business experts assist as coaches and mentors to guide students through the process of business plan development. As part of the SHS construction over the summer, room 218A’s design lends itself to the class’s needs. The classroom features an entire wall that has been coated with dry erase paint that allows students to visualize their ideas on a larger scale. The unique seating arrangements, including a horse shaped couch has been designed to improve communication. Each group uses an Apple TV that can connect to a students iPad to make presenting easier. “Walking into this class and seeing all the technology, it makes me feel motivated to learn the tricks to maneuver through the business world,“ Business Incubator student Eriykah Walton said. What makes this course even more exclusive is that at the end of the year, students are given the opportunity to pitch their ideas to potential investors with the chance of winning them over and turning their dreams into reality. “As far as this class, yes, I see a ton of potential for students. Talking with other incubator classes in the district, I feel like we are far ahead and well prepared,” Carey stated. See the article on the Schaumburg High School Sextant website at: http://shssextant.com/1494/news/incubator-class-offers-shs-students-real-life-opportunity/.